In a rural community like Williamsburg County, south of Florence, there aren’t many businesses or entertainment options. Local schools are the heart of the community. The unincorporated area of Salters was home to D.P. Cooper Elementary School, serving a student population of 159, 97% of it African-American and 97% qualifying for subsidized lunch. In 2012, its students ranked in the bottom 20% of all South Carolina schools in academic performance. The community moved to convert D.P. 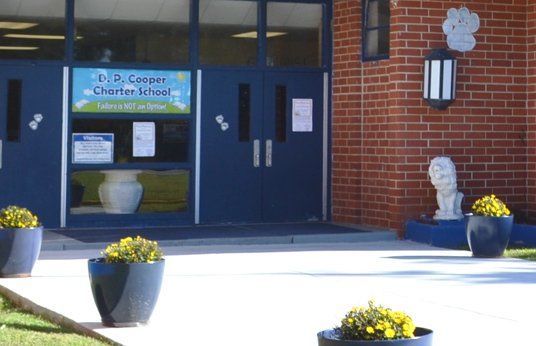 Cooper into a charter school, the first in the state to make the transformation. It needed to raise $75,000 to pay for planning and school necessities like computers and staff development, before being reimbursed by the state Department of Education. Technology is infused into every academic component in the school, which earned a grant from the Annenberg Rural School Trust to provide a new laptop for each student and teacher. The South Carolina Community Loan Fund has made two more bridge loans, totaling $275,000, to help the school continue functioning. Enrollment is now above 500, with all students qualifying for free lunch. Because it serves as a community gathering place, the school offers a host of after-school activities that keep the students engaged and out of trouble.